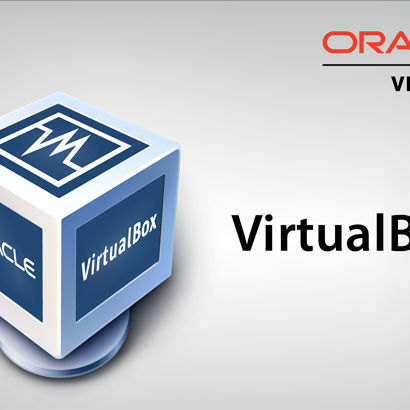 Virtualbox, not an idiot box! Working in a Windows host environment and using Ubuntu to compile your lines of havoc? Or you just wanna go Copy paste between two dimensions then this feature is inevitable. Found in the basic tab the shared Clipboard can copy data unidirectionally or bidirectionally. Make sure you have guest Additions installed for this. Buttons too mainstream? Try drag n’ drop! Need to run a 64-bit environment with relentless support of 64-bit drivers? Push this on! However once you have installed a machine with this feature on do not turn it off as your OS installs a kernel to suit this feature and may cause problems if you turn it off especially for Windows guests! Need a scary EFI Virtualized or find the legacy rather old? Check this box if you need support for EFI, though I wonder who does (never had a very peaceful time around those I guess). Give it only as much as you need or else the “Athithi Kab Jaoge?” scenario shall pop-up for your host! Unfortunately once you allocate RAM and run your VM, VirtualBox steals away that entire chunk and makes it unusable to your host irrespective of whether the guest needs it. Hope they work on it someday! Haven’t been lucky enough to use a rig with multiple CPUs? Do not despair! Push the slider till your pc can take it and you should have atleast a pair of CPU cores. Don’t want your virtual machine to be the processing power parasite? Pull the execution cap less than the default 100% to risk meddling with CPU timings but yet having fun! Haven’t we all heard that a 32 bit system quits at 4GB of RAM? But guess what? this not so pleasant sounding feature adds just 4 more bits making your system capable of accessing 64GB of RAM(No, I do not know why they didn’t come up with that in the first place?) The charm of hot-plugging a CPU on a server system can be unleashed from here. If your host's CPU supports the nested paging (AMD-V) or EPT (Intel VT-x) (Not exactly scary stuff!) expect some performance boosts with this on(Sadly not as fun as overclocking). Broadcasting your VM on a server would be cool if you really know why you would want to use it! Multiple Connections are something VirtualBox can take on! Excellent for creating tutorials! Why even use a third party application? Want to virtualize a SSD? Oracle’s got it covered! It’s really beautiful that your parasitic OS is unaware of the existence of your host. Forging a MAC address is something I would try here. For those hackers who hack from the cocoon Kali Linux in a virtual network really is something you want to check out! The array of adapters be it bridged or just a direct NAT are for those software testing geeks and server freaks! You may laugh at them but I believe I can virtualize a COM port from a USB and run a classic robot off the chip! Do not underestimate the old school connectors! Virtual Box efficiently bypasses your usb but what’s intriguing is the usb device filter that configures the type of devices and the reaction of VirtualBox affecting their connectivity (Some kind of Autoplay I’d love to call it) but that too based on simple filters like product, vendor, mac address and so on. For people who fear ruining their setups in seconds you can also turn back time with Snapshots of your VM the same feature it uses to pause your OS and continue working on the host as it waits. Virtualbox never did very well at touch but if you only care less it does have touch support. But it ain’t as sleazy as your Host PC will be. Just want to put your hands on some Mac material? Set up a virtual Mac. Works pretty cool in this setup rather than dual booting a hackintosh which requires GPT which is really cumbersome. Nothings more amazing than having a phone inside your laptop. Full Internet access, Playstore and whatever andy you desire! Try new apps without caring about RAM, internal memory and so on! Gladden your professors by coding in a virtual Linux environment instead of the Turbo C IDE they hate bitterly ! Or if you wanna go live, just hit the live disk checkbox when you mount an iso into your VM. Windows in a box? Old Idea but it gets to a whole new level in here! Get a controlled environment for app testing! May be even handle viruses? Possibilities are endless! VirtualBox has forever been an amazing playground for me and so should it be with all you tech freaks! The software is promising and it keeps getting better! It feels like touring the world without a Visa! A computer engineering student at IIIT Kota, Joey likes to write basics usage guides for software such as Android Studio, Audacity, Vegas Pro, VirtualDJ8 and so on. Which Android TV Box To Buy ?